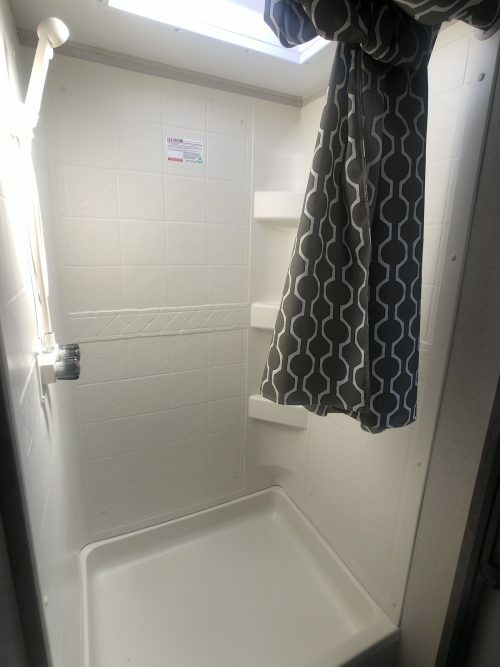 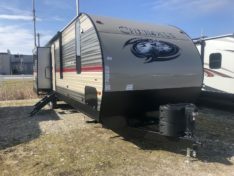 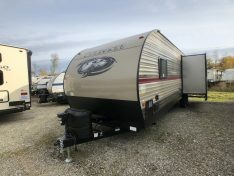 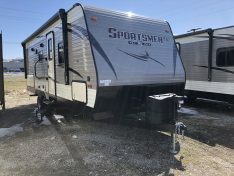 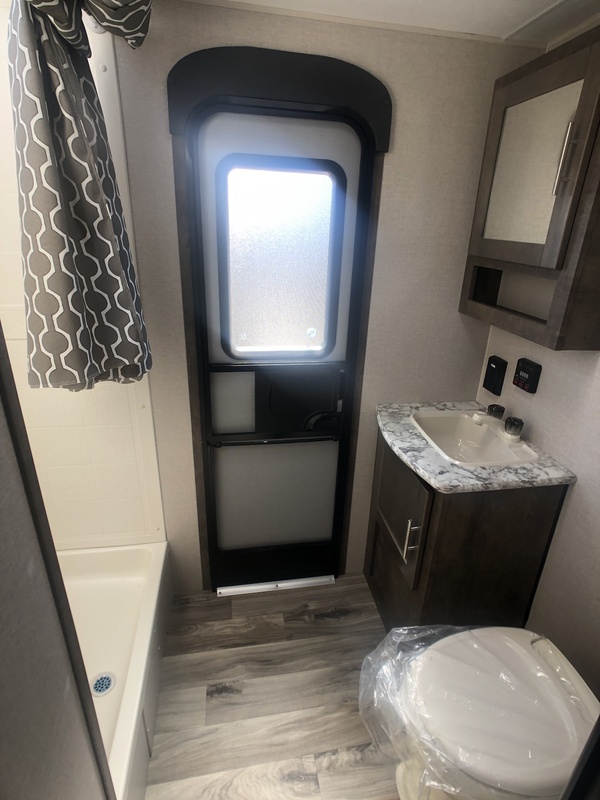 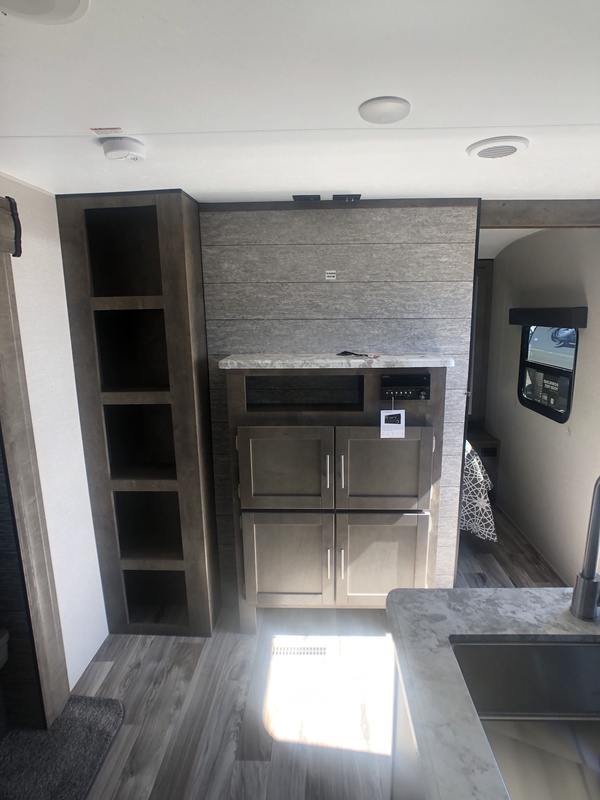 The KZ Spree Connect C312BHKSE bunk house travel trailer has 2 slide outs, rear private bunk room, and outdoor kitchen. 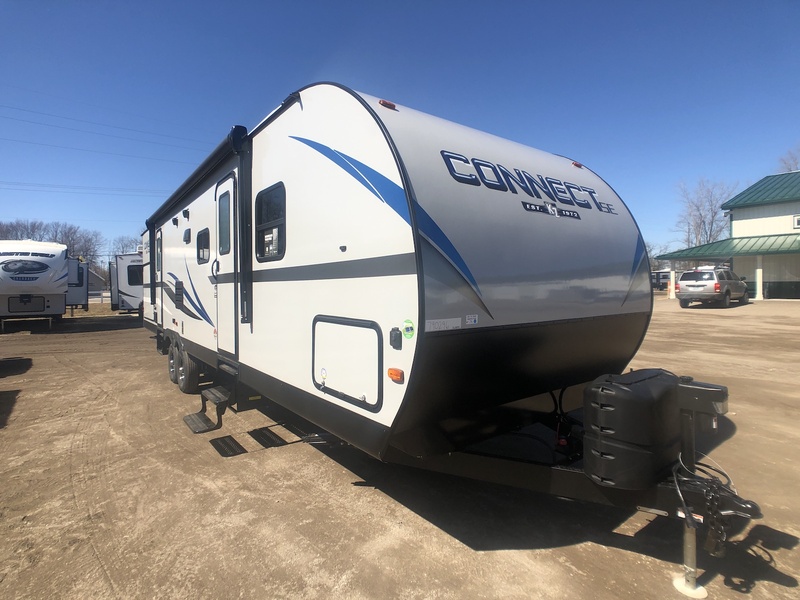 The Spree Connect C312BHKSE has 2 entrances, the main in the living area, and the rear entrance into the bathroom. 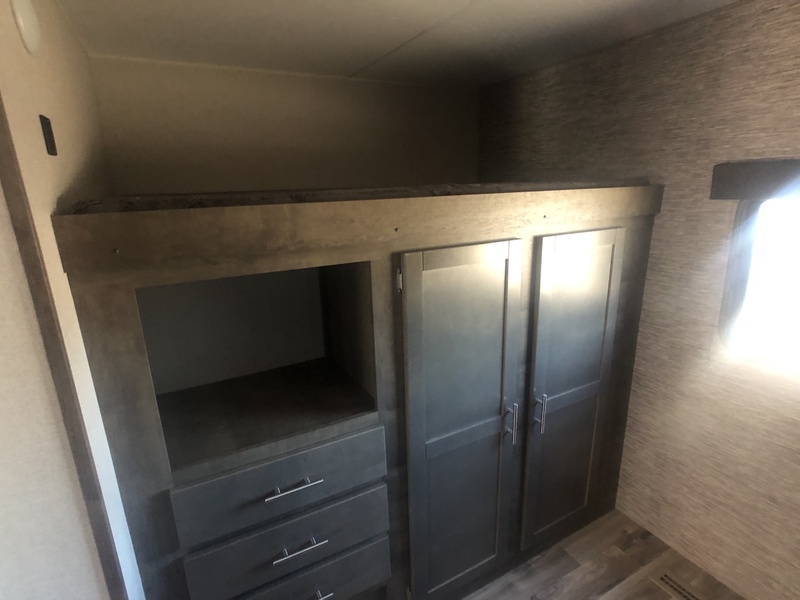 The bunk room has one slide out along with 3 bunk beds and a built in entertainment center and closet. The bathroom of the Spree Connect C312BHK has a large shower, sink, and toilet. 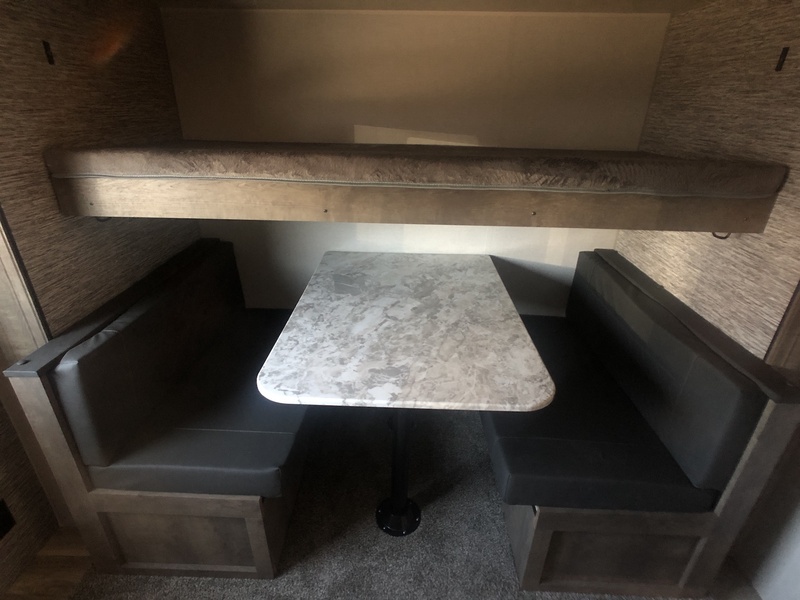 In the main living area there is a large slide that has as u-shaped dinette and sofa built into it. 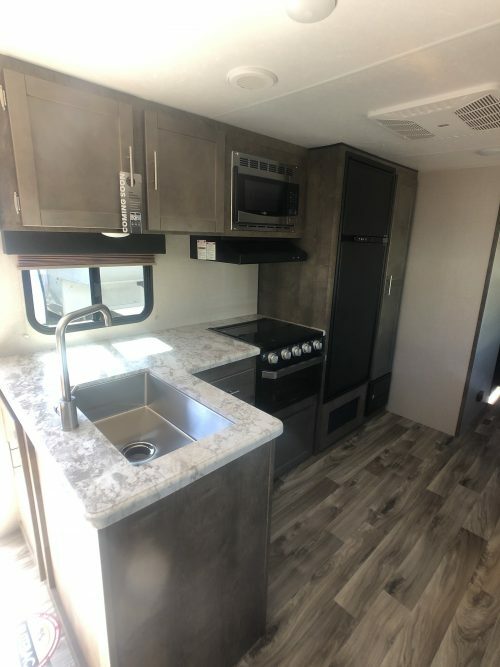 Directly across is the kitchen with a 2 way RV fridge, 3 burner cook top/oven, microwave, and 2 basin sink. 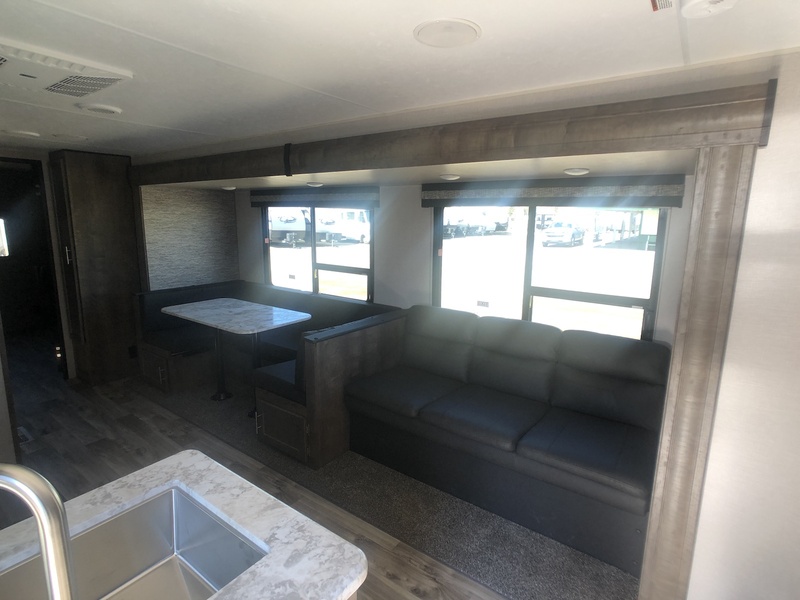 There is a built in entertainment center located in the front of the room with T.V. 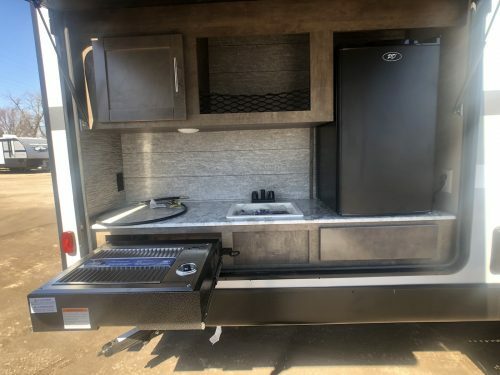 hook ups built in. 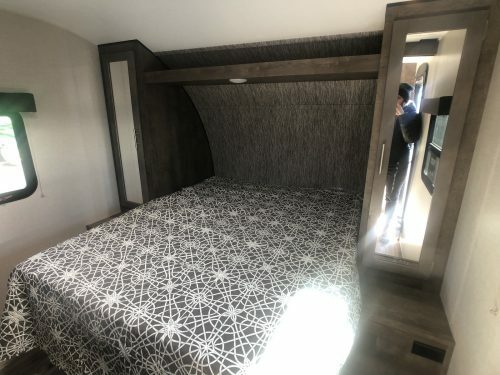 The master bedroom has solid wood privacy doors, a queen walk around bed, and closets for him and her.